As we have learned from the Wilde west, each man kidnaps the thing he loves, and on this occasion our Confucius plagiarizing “Englishman” (when he finally appears) is held captive in a cabin scattering bon mots, but needing to escape for the inescapable shoot-out. Oscar is successfully returned, of course, but not before insisting that the insulting ransom be raised fivefold from the “measly ten thousand” being demanded, “in dollars, mind you”. 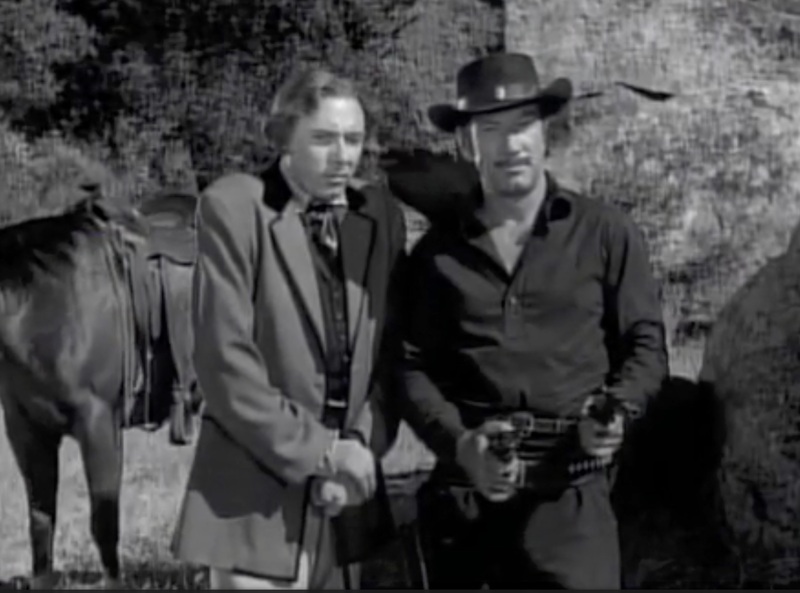 The episode, which stars Richard Boone as regular hero Paladin and John O’Malley as Oscar, first aired on December 6, 1958. John O’Malley, the little-known Australian actor who played Wilde, died less than a year after making this episode. It was not quite the first appearance of Oscar as a character on screen. In Canada in 1955 Wilde was played by John Harding in The Return of Don Juan, an episode of ‘CBC Summer Theatre’. Paladin brought back memories, watching westerns with my dad. 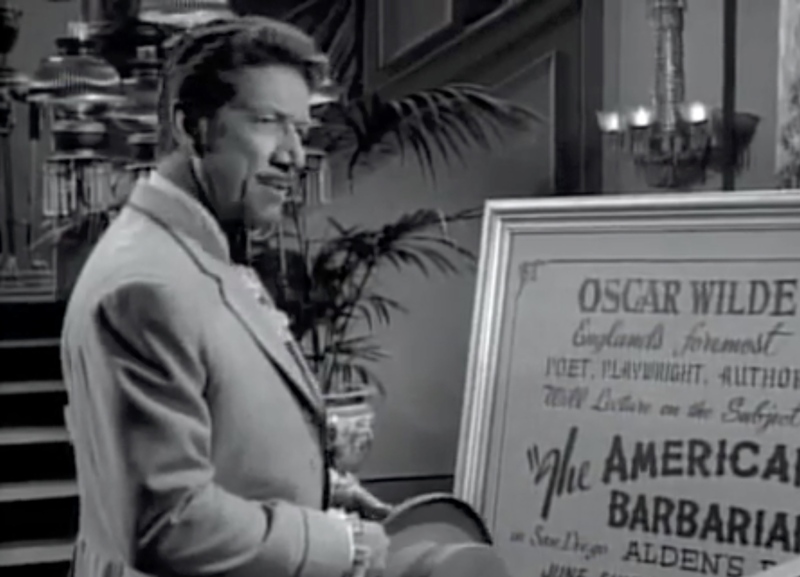 However, I missed this episode with Oscar’s quick draw of the snuff box. Thanks for sharing.